Hey guys, Jay here. I've been wanting to do one of these posts for a while now. My daily makeup is made up of "No Makeup Makeup Looks" the majority of the time so I thought I was bound to do a post about it. I have a few go to looks and this is one of them. I hope you enjoy! Starting off with base I use the Revlon Nearly Naked Foundation to spot conceal on my face. Usually I use it under the eyes to get rid of dark circles or on any problem areas I'm having at the time. It's a great light weight foundation good for applying all over the face or spot concealing. I use a variety of different brushes with it, but at the moment I'm using the Marianna Concealer Brush. It easily blend out the base and is easy to use. To add a natural flush to the cheeks I add a few dots of my Too Faced Full Bloom Lip and Cheek Creme in "Tea Rose" on my cheeks blending it upwards. I love using cream blushes because I find they give a more dewy and glowing effect to the skin. This one is nice because it is very buildable so you can't go over board with it. It's very fool proof. Recently for my eyes I've been reaching for my Smashbox Full Exposure Pallet. I enjoy using the warm matte shades in this pallet, though it comes with matte and shimmer shades ranging from warm to cool tones, so I can easily create any look with this pallet. Usually I go for the dark warm brown dusted in my crease with a fluffy blending brush and a cream or camel shade all over the lid. Very natural but gives some dimension to the eyes. To finish off the eyes (and the whole look actually), I go in with a few coats of the Smashbox Full Exposure Mascara on my top and bottom lashes to really open up the eyes and give my lashes some length and volume. 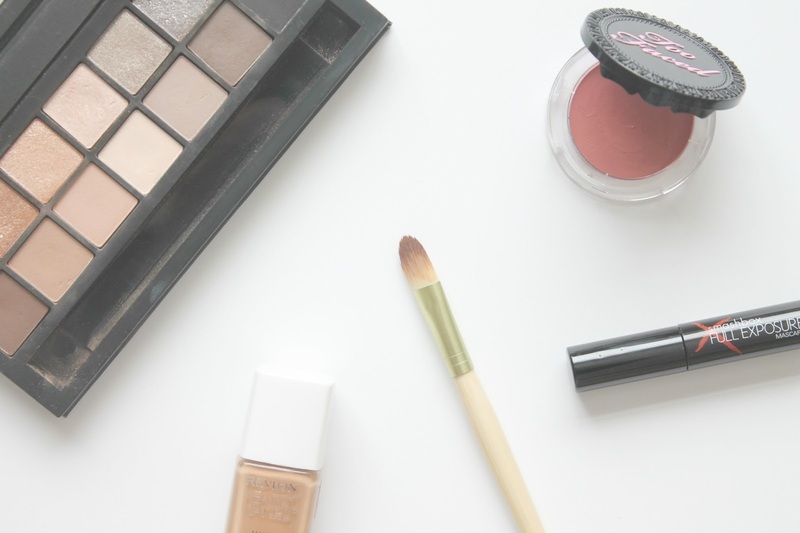 What do you use for your No Makeup Makeup Look?